Castells are a folkloric custom originally from Valencia, from the 16th Century onwards. 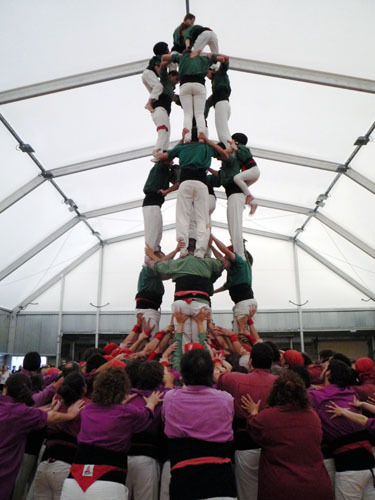 It is a tradition of forming multi-tiered human towers of up to 10 m height, and sometimes more. Two castellers associations have their home in Mallorca, one in Palma, the Castellers de Mallorca, and one in Manacor, the Al.lots Llevant. 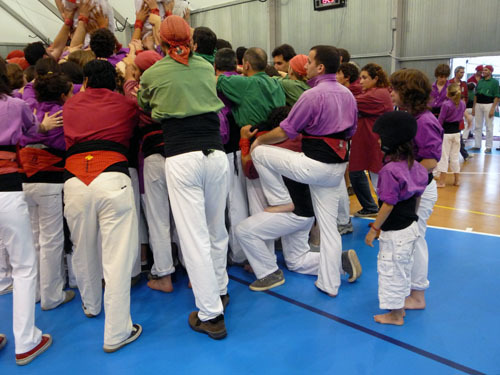 Both, plus the Moixiganguers, an invited group from Igualada in Catalunya, performed a number of impressive human towers at the occasion of the Fira de Primavera in Manacor, yesterday, of up to seven tiers high. Absolutely amazing. The young boy at the right wearing a crash helmet is the Enxaneta, the youngest one of the castle and the one who climbs to the top. I do not think that he was five yet. It is all down to the strategic planning of the base unit, called the Pinya. 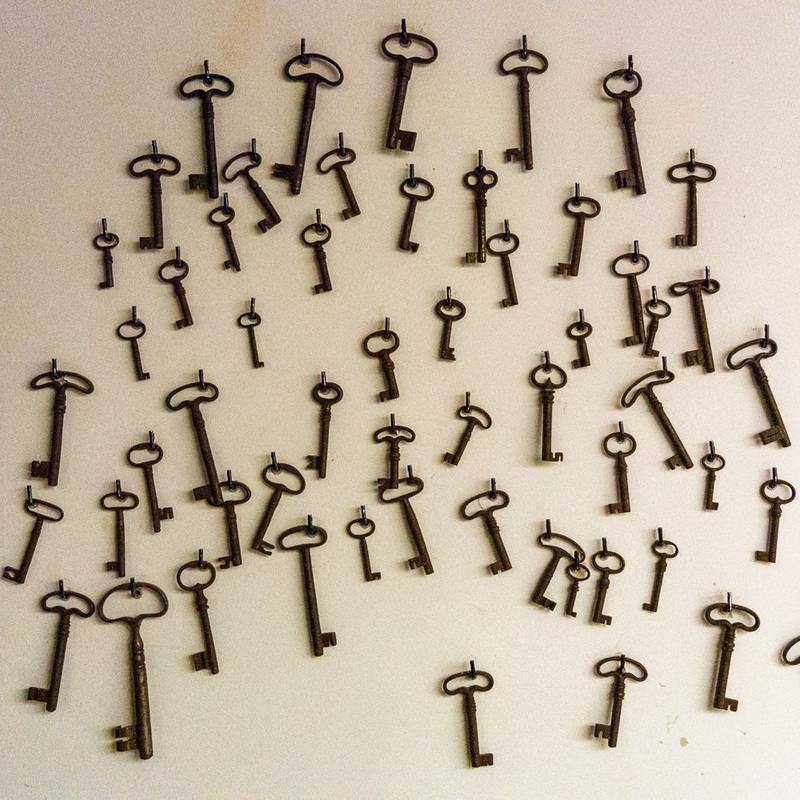 Strength plays a part in it, obviously, but planning, strategic thinking, trust and courage are even more important. A lot of enthusiasm all-round coupled with friendly energy made for a truly invigorating experience. The photos were taken in Manacor, Mallorca, Baleares, Spain. The date: May 24th, 2008. The time was 19:23:13, top, and 19:09:53, bottom.